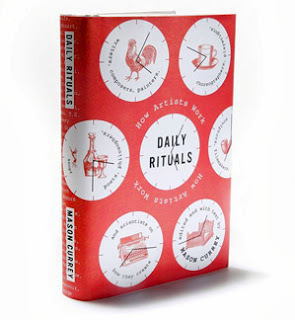 On a recommendation from a review that I read in an issue of Vanity Fair, I downloaded an e-copy of Mason Currey's Daily Rituals: How Artists Work. Curry shared that V.S. Pritchett wrote, "Sooner or later the great men turn out to be all alike. They never stop working. They never lose a minute. It is very depressing." That passage reminded me about the time I went to dinner some years back at the Burger Joint in the Le Parker Meridien hotel in mid-town Manhattan with a New York Times bestselling author who also happened to be an Ivy League graduate and a professor at a prestigious university on the west coast. As I was standing in line ordering our charbroiled burgers (The professor didn't have cheese. ), I noticed that after he briefly surveyed the bustling establishment, he pulled out a novel and boldly began reading in the bustling restaurant.